We have no new updtaes please keep watch for any new up & coming news. Check out the new aditions to Sweetbryar !!! We are a small select kennel that is set on 10 acres in southeast Victoria just a short drive from Melbourne. We own a small vineyard that carries the name Sweetbryar as well. The name Sweetbryar originates from the wild Sweetbryar Roses that grow in England. I got my first Bullmastiff in 2002 her name is Blakrouge Blushin Bryde (BLUSH). 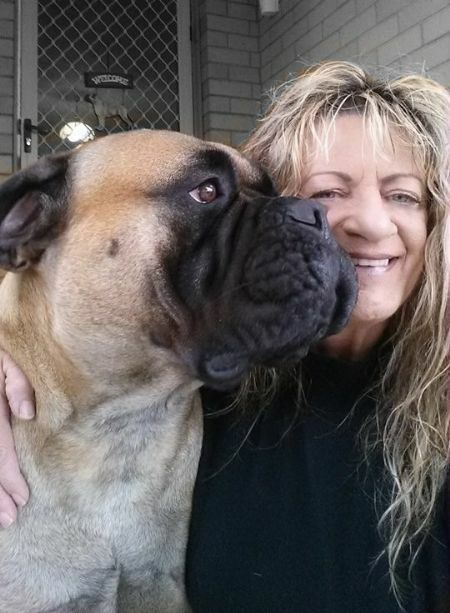 Blush is the foundation of my family of Bullmastiffs Cameo, Mya & Stormy. Sadley Blush, Mya & Stormy have now passed away Cameo is still with us bless her! Our family also has a British Short Hair cat named 'Boo' & Bulldog named 'Tilly' and many farm animals. I started showing Blush and obtained her Australian Championship title got totaly hooked on the breed after that. Showing has allways been a hobby and hope it stays a big part of my life to show this wonderful breed and has been quite a journey for me. I have ever since loved the breed and allways will. We love to love the dogs and our Dogs love us back they are a huge part of the family that love to come inside when its hot to be cool and when its cool to be warm. We love to have all out dogs inside with us at night. 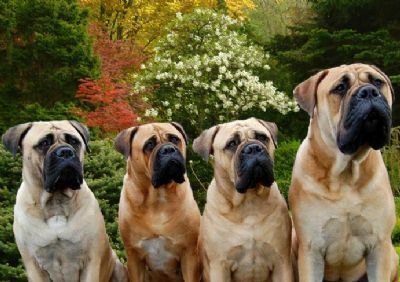 We believe that if you own a dog no matter the breed they should be able to be part of the family and come inside to be a part of the household. Our puppies are reared in side and not in kennels our dogs are not kenneled we have large yards for them for when we are at work, & when we are home they are with us. I am starting a new line since the loss of my Blush and her progeny & Cameo being to old to breed now. Our new Girl her name is (SAMBA) Imp from Denmark and My new Boy (OTTO) allso coming from Denmark Carrying Danish & Finnish lines I’m hoping to breed something Nice to show that will be a little Different to the English lines. I am a member of the BMCV and Also DOGS VIC. All puppy buyers will have a free membership to the BMCV and Puppy pack with their new baby to take home and also 24 HR phone support. 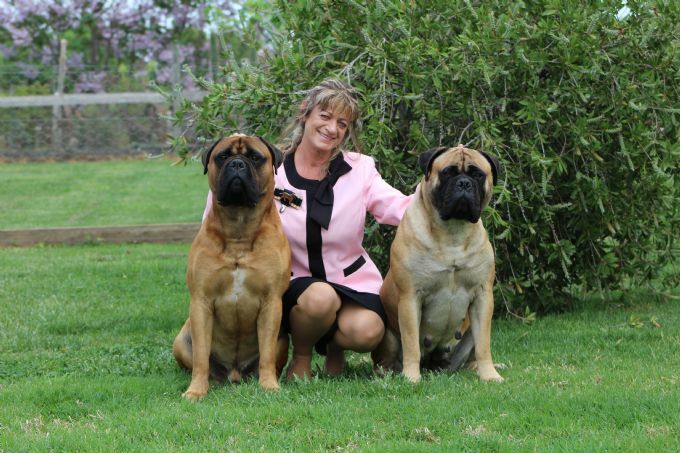 Sweetbryar currently have no puppies available at this stage but I am looking forward to breeding a lovely litter of Bullmastiff's from my new Girl Samba that I have Imp from Denmark. Sweetbryar Original Family pictured below.